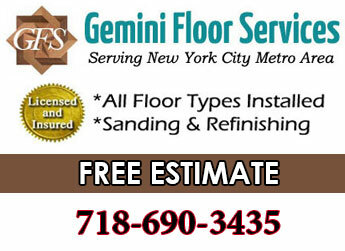 If you’re looking for hardwood flooring or any other floor type Gemini Floor Services is centrally located in Brooklyn and serves the 11205-1080 Brooklyn Navy Yard area. We’re a family owned local flooring contractor in the flooring industry over 30 years serving Brooklyn and NYC metro area since 2005. 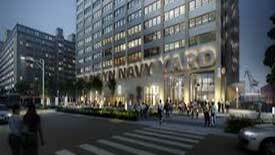 Brooklyn Navy Yard is another historical region of New York City which is being repurposed and revitalized. Since 1806, for over 150 years and through World War II the Navy yard served to produce many of the nation’s naval ships. It employed and housed many workers and was a destination for countless Navy members. The government closed it’s activity there in 1966. Privately owned ship manufacturing continued until 1979. It was a ship repair facility until 1987 at which time all ship related business ended. From then until now the ship yard has gradually been converted into an indutrial manufacturing park. Today the area is home to over 330 businesses which employ more then 7,000 workers. Much of the historical aspects have been preserved such as the dry dock, naval hospital and World War II factory which has been converted into a manufacturing facility for numerous businesses. The area is now a national historic district with a museum at Building 92 and regular tours. 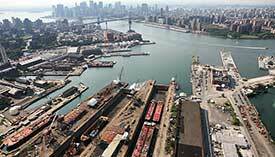 The industrial parks’ economic impact on New York City is 2 billion. There is currently a $2.5 billion major plan to further develop the ship yard. High rise buildings will add more manufacturing facility and offices along with retail facility catering to workers. The plan hopes to increase the number of jobs to 20,000 by 2020 and eventually to 30,000.